it seems like no matter how many handbags or accessories i own, i always tend to gravitate towards one or two pieces that i end up wearing almost every single day. 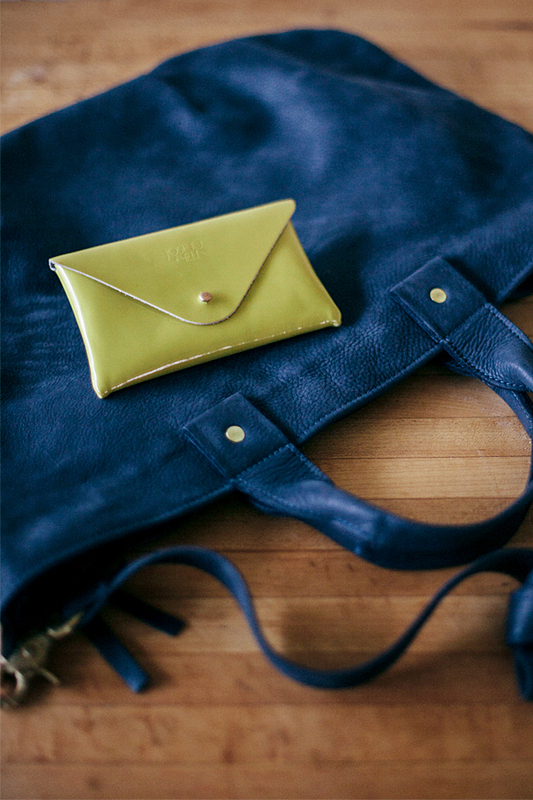 two such items that have been currently getting a lot of wear are my clare v. messenger bag and this amazing patent leather joshu+vela envelope. they’re such a pretty duo that i hardly ever switch them out. i purchased the handbag shortly after adam was born as a little gift to myself. at the time, i didn’t even realize how practical it would be: the roomy size means it doubles as a lightweight diaper bag on quick excursions where i don’t need to carry much more than an extra diaper and a few toys. 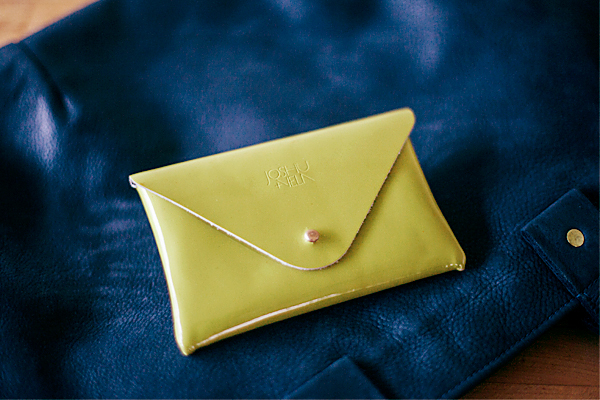 the wallet was a gift from the designer, something i would not have picked for myself, but that has quickly become a favorite. first off, it is the most perfect mustard yellow hue, and second, the patent leather makes it pretty much indestructible in the hands of a teething infant. 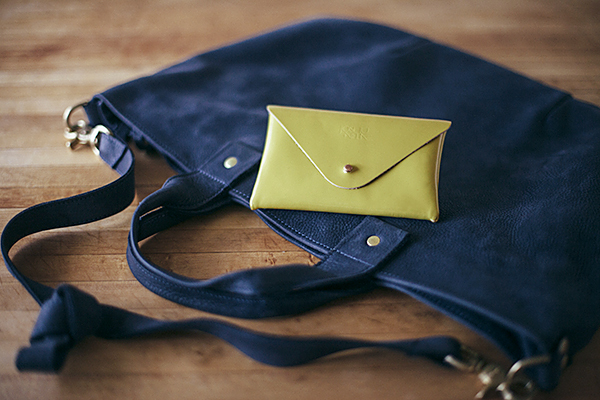 it’s pretty, it’s practical, it’s handmade made in san francisco, and it’s a perfect gift (for yourself or someone special).